Ascendis Pharma A/S (NASDAQ: ASND) rose 70.2 percent to $117.98 in pre-market trading after the company disclosed that its TransCon Growth Hormone trial met its primary endpoint. Nightstar Therapeutics plc (NASDAQ: NITE) rose 66.6 percent to $25.25 in pre-market trading after the company agreed to be acquired by Biogen Inc (NASDAQ: BIIB) for $25.50 per share in cash. Biopharmx Corp (NYSE: BPMX) shares rose 28 percent to $0.13 in pre-market trading after the company reported that it has completed enrollment in Phase 2b trial of BPX-04 for patients with papulopustular rosacea. Arcadia Biosciences, Inc. (NASDAQ: RKDA) rose 24.3 percent to $8.96 in pre-market trading after the company disclosed that it has received its first Industrial Hemp Pilot Program License by Hawaii’s Department of Agriculture. China Internet Nationwide Financial Services Inc. (NASDAQ: CIFS) rose 23.7 percent to $4.02 in pre-market trading after climbing 45.09 percent on Friday. Cool Holdings, Inc. (NASDAQ: AWSM) shares rose 15.2 percent to $2.95 in pre-market trading. Medigus Ltd. (NASDAQ: MDGS) rose 14.4 percent to $3.26 in pre-market trading after entering into a binding memorandum of understanding with Linkury Ltd to establish an e-commerce platform for CBD products. India Globalization Capital, Inc. (NYSE: IGC) rose 8.6 percent to $3.04 in pre-market trading after surging 14.29 percent on Friday. Fortress Biotech, Inc. (NASDAQ: FBIO) shares rose 7.8 percent to $2.20 in pre-market trading after falling 2.39 percent on Friday. Upwork Inc. (NASDAQ: UPWK) rose 5.7 percent to $23.72 in pre-market trading after dropping 5.23 percent on Friday. 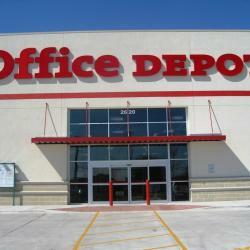 Office Depot Inc (NASDAQ: ODP) rose 5.3 percent to $3.75 in pre-market trading after the company and Alibaba Group Holding Limited (NYSE: BABA) announced a collaboration to sell B2B e-commerce online. LexinFintech Holdings Ltd. (NASDAQ: LX) rose 5.2 percent to $12.78 in pre-market trading after gaining 4.29 percent on Friday. Corbus Pharmaceuticals Holdings, Inc. (NASDAQ: CRBP) rose 4.8 percent to $6.60 in pre-market trading after declining 9.22 percent on Friday. Aphria Inc. (NYSE: APHA) rose 4.5 percent to $10.60 in pre-market trading after dropping 2.12 percent on Friday. SS&C Technologies Holdings, Inc. (NASDAQ: SSNC) rose 4.3 percent to $65.14 in pre-market trading. Sogou Inc. (NYSE: SOGO) shares rose 3.7 percent to $6.44 in pre-market trading. BioCryst Pharmaceuticals, Inc. (NASDAQ: BCRX) rose 3.4 percent to $8.90 in pre-market trading after reporting Q4 results. NIO Inc. (NYSE: NIO) rose 3.3 percent to $10.39 in pre-market trading after gaining 5.12 percent on Friday. Childrens Place Inc (NASDAQ: PLCE) fell 15.5 percent to $ 79.94 in pre-market trading after the company reported downbeat Q4 results and issued weak guidance. The company also announced plans to acquire IP assets of Gymboree and Crazy 8 for $76 million. Bio-Path Holdings, Inc. (NASDAQ: BPTH) fell 13 percent to $6.72 in pre-market trading after surging 196.92 percent on Friday. Summit Therapeutics plc (NASDAQ: SMMT) fell 10.6 percent to $2.03 in pre-market trading. Sea Limited (NYSE: SE) fell 7.3 percent to $21.51 in pre-market trading after the company announced a 50 million ADS offering. DaVita Inc. (NYSE: DVA) shares fell 5.3 percent to $54.05 in pre-market trading. Air Transport Services Group, Inc. (NASDAQ: ATSG) fell 5 percent to $21.67 in pre-market trading. YETI Holdings, Inc. (NYSE: YETI) fell 4.7 percent to $23.90 in pre-market trading after rising 4.59 percent on Friday. Vale S.A. (NYSE: VALE) fell 4.4 percent to $11.85 in pre-market trading. Magic Software Enterprises Ltd. (NASDAQ: MGIC) fell 4.1 percent to $8.86 in pre-market trading following weak Q4 results. Tonix Pharmaceuticals Holding Corp (NASDAQ: TNXP) shares fell 4 percent to $1.92 after reporting a buyback of up to $2 million. Bed Bath & Beyond Inc. (NASDAQ: BBBY) fell 3.5 percent to $16.10 in pre-market trading. Farfetch Limited (NYSE: FTCH) shares fell 2.9 percent to $28.00 in pre-market after surging 17.63 percent on Friday.